Deliciously fun milk chocolate shapes. Perfect to put in a bowl for Christmas. Sugar, Whole Milk Powder, Cocoa Mass, Cocoa Butter, Whey Powder (Milk), Emulsifier (Soya Lecithin); Flavouring. 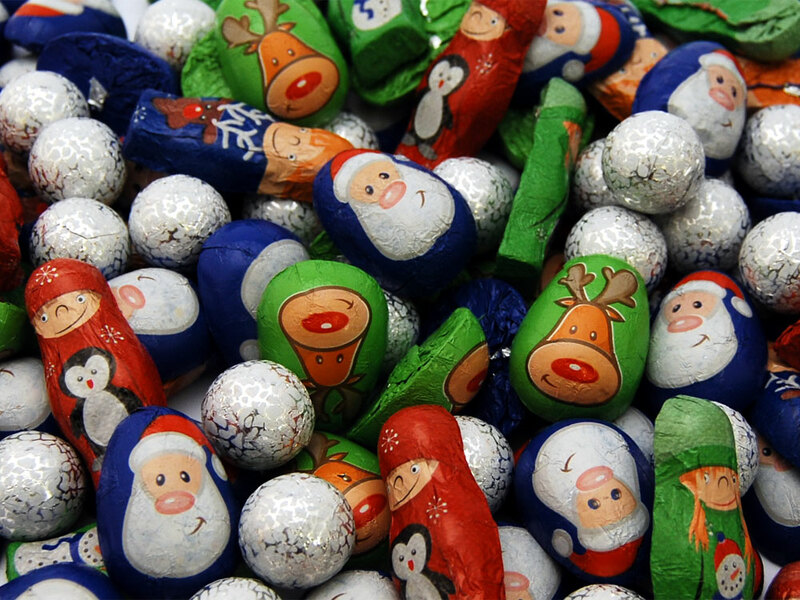 Milk Chocolate Contains Cocoa Solids 28% Minimum, Milk Solids 16% Minimum. For Allergens see Ingredients in Bold. May also contain nuts and cereals containing gluten.